The man continued to watch it, expecting that any minute the wings would enlarge and expand enough to support the body, Neither happened! In fact the butterfly spent the rest of its life crawling around. It was never able to fly. I have asked for strength… and life has provided me with hardships, in order to make me strong. I have asked for wisdom… and life has provided me with problems to solve. I have asked for prosperity… and life has provided me with a brain, and muscles in order to work. 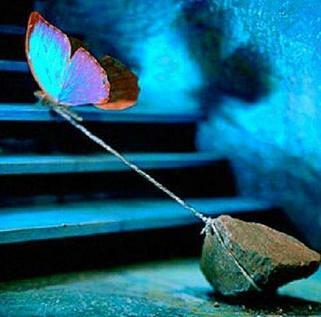 I have asked for the capacity to fly… and life has provided me with obstacles to overcome. I have asked for love… and life has provided me with people to help in their problems. I have asked for favours… and life has provided me with potentialities. I have received nothing of what I have been asking for… but I received everything that I needed! Live your life without any fear, within the clear conscience that everything works for the best, engage yourself with all the hardships that come to you and prove the fact that you are able to overcome them all. An inspirational Article inspired by the butterfly.